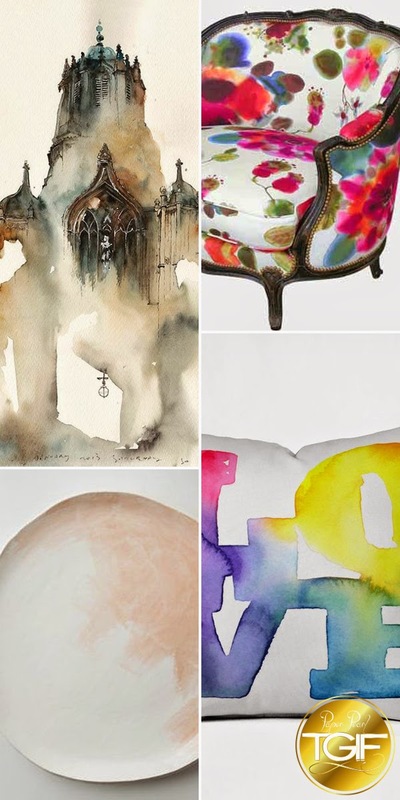 Watercolors are so beautiful in fluidity of color and abstract dreaminess. 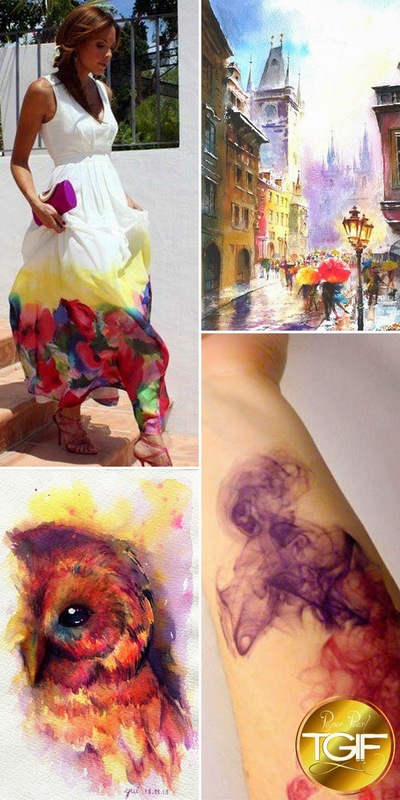 However, watercolor is no longer limited to just walls-dresses are insanely beautiful, as well as plates. Take a look at our Pinterest board for more inspiration. Have a wonderful weekend!